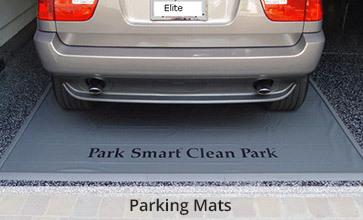 Elite Garage Floors brings you easy do it yourself products. Our garage flooring products install right over your sub floor, no adhesives needed, no messy chemicals, and lasts for years. Our products can be used on garage floors, gyms, warehouses, schools, commercial buildings, trailers and more. Made in the USA with Free Ground Shipping on orders over $50. Our Flexible Interlocking Tiles by Perfection Floor Tile offer a diverse line of floor products, residential and commercial flooring. 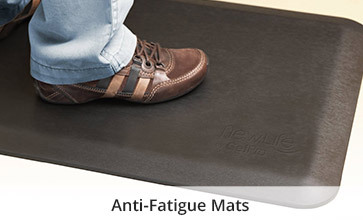 The Flexi Tile Perfection Floor Tile is made from Virgin Polyvinyl that is carcinogen free material. Our Flexible Interlocking tiles can be loose laid over many types of sub floors, no adhesive needed, and with very little preparation to the floor. Cover cracked stained old concrete, you do not have to remove old paint, or clean stains; simply lay this tile right over the top. We have many types of interlocking PVC tiles, from the original T-Joint "jigsaw" profile, the hidden interlocking tabs. Our new Luxury Vinyl Stone and Wood grain tiles have the look of real stone and wood, a very attractive option in our rugged tile line. Free Samples. Garage floor covering product G Floor by Better Life Technologies is a roll out garage floor covering mat and a great floor protector. Do it yourself installation, no adhesives required, simply unroll the mat over your existing sub floor, and cover the entire area or just sections. Made in the USA, G-Floor comes in many patterns and colors, and we offer free samples. 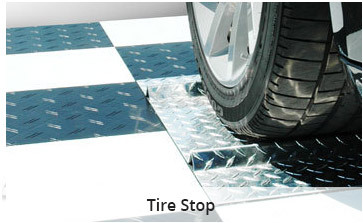 Our rigid interlocking garage tiles by Race Deck is a heavy duty attractive tile that snaps together quick and easy. Install your garage floor in just a few hours, with no mess, and create cool designs by mixing tile colors. These garage tiles come in many patterns; Diamond, CircleTrac, Free Flow Drain Top, and Aluminium Diamond Plate. Race Deck is UV protective, and can be installed outdoors for events, decks, and more, and is made in the USA. Tough Garage storage cabinets with brands such as Gladiator and Hercke steel cabinets. Great for residential garages or commercial businesses. Create the perfect storage cabinet set up with modular cabinets. Get exactly the cabinets you need by customizing and mixing larger storage cabinets, and lower cabinet systems and work benches. Add some StorWall and HandiWall slatwall systems and turn your wall into a diverse storage area. Hooks, shelves, and storage accessories allow you to move the storage on your StorWall to fit your changing needs. Attractive and effective storage. We stock many brands of garage door thresholds and weather seal replacement material. Create a tight seal on your garage door by replacing your garage door bottom seal. We also carry the aluminium retainers for the bottom seal materials. An uneven concrete floor can cause a gap at the bottom of your garage door; so a garage door threshold could solve that problem. We stock Storm Shield, Xtreme Weather Guard and Tsunami Garage Door Thresholds. We are supplying the Flex-diamond Tile for a show being aired in April, in the Stacey David Show. Also, some of our products have been featured on DIY Network, DIY to the Rescue, Extreme Make Over, Ron Hazelton.